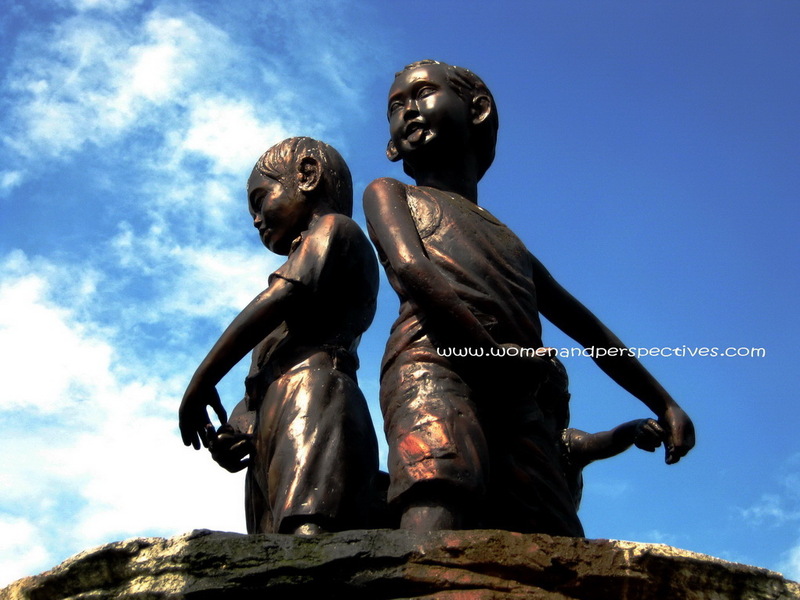 I captured this statue in a recreational area (Taman Telaga Arwana, Cibubur, West Java, Indonesia). Since there’s no water coming out from the boys, I didn’t notice before that in fact; the statues are a bunch of passing water boys. I’m more interested with one boy that sticks out his tongue. As usual, the blue sky becomes a perfect back ground.